Got home on Monday from the International Quilt Festival in Long Beach. All went well and it was a blast and a half! The convention center was much better prepared for the onslaught of quilters… everybody got in the door and got fed! This year there was a Preview Party on Thursday night that started at 5:00. Here was my aisle at 2:00. Hmm… well, it was all good by opening time. The shot also shows this year’s lovely grape carpet. My little space in Vendorland. I stayed once again at the Turret House, a lovely, comfortable Victorian B&B not far from the convention center. Resident English bulldogs Winston and Waldo show their power-nap skills to visitors. Winston, the white one and the younger of the two, would come trotting up to me, head-bump my legs, and swish in and out of my long skirt. That was jolly good fun. My place setting one morning… dragonfly napkin ring and fresh-picked bleeding hearts. On Friday and Saturday the show closed at 7:00, at which time I would stagger across the street to find something to eat. On Saturday I had just gotten my food at the tacqueria when Beth and Liz swept in and folded me into their party. They introduced me to another gal but I didn’t quite catch her name in all of the plate-moving and napkin-getting. 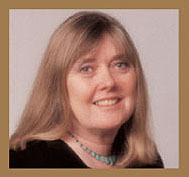 All of a sudden this gal says to me, “Aren’t you the one who did my blog hop?” It was PAT SLOAN. I totally didn’t recognize her from her picture. After we had all established who we were and how we knew each other, we ate our food and talked and talked and talked. It was wonderful. Let’s just say that the Lizzie B gals are an entertainment unto themselves. After at least an hour, all of a sudden Pat pointed to my apron and said, “Hey, that’s my fabric!” We laughed and laughed. Wish I looked as perky as Pat after nine hours on the show floor. Notice the sign above Pat’s head that looks like it says to Get Naked. Don’t worry, she kept her clothes on. It really says to Get It Naked… in other words, to order the lower fat and calorie version of their foodstuffs LOL! The pattern is one of Gina’s at Threaded Pear. I added a monogram à la Laverne. The cute pin was gifted to me by the designer, David McNutt. Thanks David! I love it. And, obviously, I love the fabric! I’m off to Long Beach today a mite early for International Quilt Festival. It’s only a six-hour drive but I’m splitting it up because this year I’ll be all by my lonesome and there’s a Preview Night that wasn’t there last year. So today I’ll drive a little, tomorrow I’ll drive a little, unload, and set up a little, then finishing setting up and be all bright and shiny for Preview Night on Thursday, which starts at 5:00 p.m. Wow! If you’re going to be at Festival this year, please come by and see me in Booth #817, right next to the Embellishment Village. Nice neighborhood! The Encyclopedia of Appliqué is back! 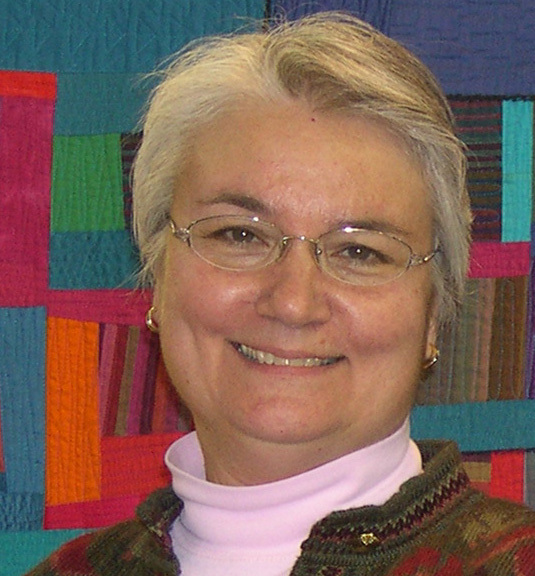 I’m delighted to present this guest post from Barbara Brackman, esteemed quilt historian and author. 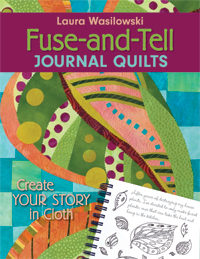 Barbara has some news to share that is of great interest and excitement to the appliqué enthusiast! 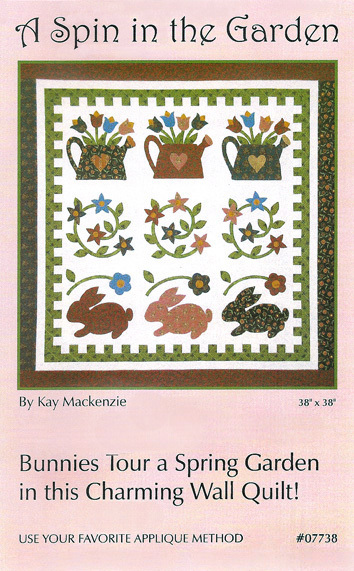 Twenty years ago I published my Encyclopedia of Appliqué, which indexed all the appliqué designs I could find before 1970. It’s been out of print for years. This month, C&T Publishing is bringing out a revised edition. The index will be the same but the introduction is updated. Applique artists will love having the inspiration that the 1,800 black-and-white drawings provide. Born organizers like me will enjoy seeing all that exuberant design classified and numbered. The reel is one of the oldest appliquéd block designs, with examples dated in the early 1830s. It remains popular today. Here are a few quilts made by me and my friends using variations of the pattern. Oak Leaf and Orange Peel (Bowden Family Quilt) by Bobbi Finley, Williamsburg, Virginia, 2003-2005. Hip Hop Hickory Leaf by Carol Gilham Jones, Lawrence, Kansas, 2007. Hickory Leaf by Barbara Brackman, Lawrence, Kansas, 2003. 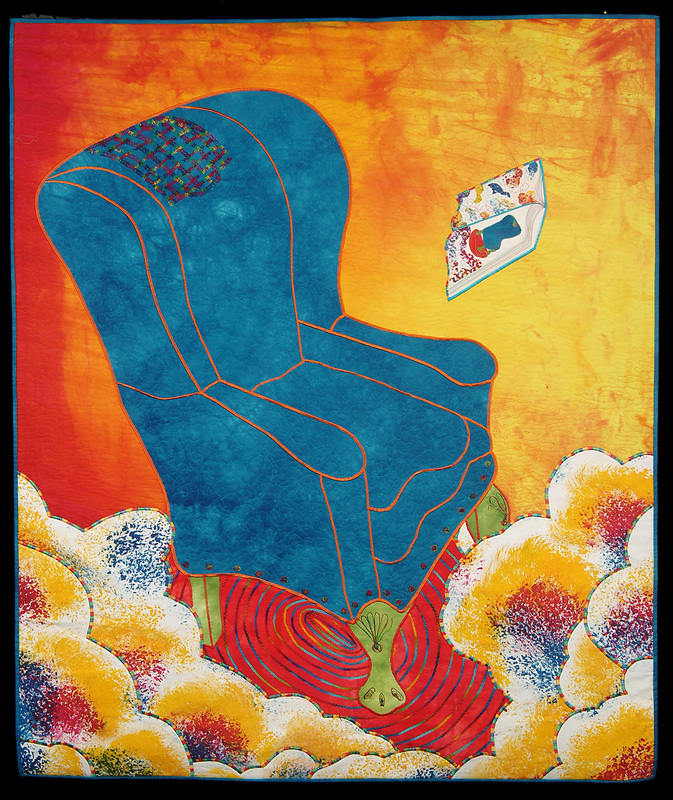 Quilted by Lori Kukuk. by Georgann Eglinski and Roseanne Smith, Lawrence, Kansas 2009. 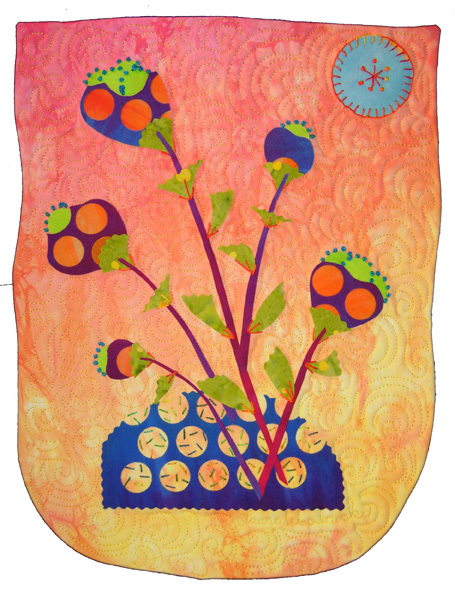 Quilted by Lori Kukuk. Thank you so much Barbara for sharing this sneak peak with us! The new edition of the Encyclopedia means that not only is it in print again, there’s an updated introduction about the history of appliqué, plus it has color pictures accompanying the black-and-white reference drawings, and, five quilt projects! You can pre-order your copy at amazon.com. Here’s the link: Encyclopedia of Appliqué on Amazon. If you have an interest in quilt history and fabric dating, you’ll definitely want to read Barbara’s blog, Material Culture: Information from a Quilt Historian About Quilt Fabric Past and Present. The winner for July among registered readers of the blog is Jane DeLorenzo of Greenville, South Carolina. Congratulations Jane! As I mentioned last month, Martingale & Company / That Patchwork Place is currently sponsoring these prizes. Thank you Martingale! I appreciate it and I’m sure the winners do too! 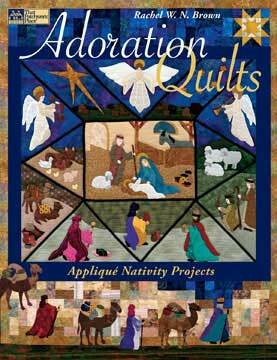 This month, in the spirit of Christmas in July, I chose Adoration Quilts: Appliqué Nativity Projects by Rachel W.N. Brown. The author has her own quilt shop, Rachel’s Quilt Patch, in Staunton, Virginia. 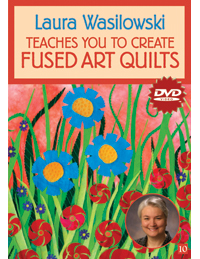 This lovely book features detailed information on how to make the moving and symbolic quilt on the cover, as well other holiday projects like placemats, a tree skirt, wall quilts, and a mantel decoration. But back to that cover quilt, ‘The Adoration.’ These are not your typical blocks! See how there are triangle and parallelogram blocks surrounding the center rectangle? That’s thinking outside the square! Rachel tells you exactly how to go about it. Along the way you’ll appliqué angels, shepherds, sheep, stars, magi, camels, friendly beasts, and the nativity scene. It reminds me of how we used to set up what we called ‘the crèche’ when we were kids. There’s information on prepared-edge and raw-edge appliqué methods and how to achieve the finer details. There are also a bunch of side tips sprinkled throughout the pages. Some of them provide food for thought on how we should slow down and remember the reason for the season. 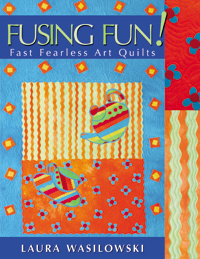 Martingale has also provided a copy of my book Easy Appliqué Blocks for the prize winner. Enjoy! If you register you can become eligible for the monthly prize drawings too. See the right-hand sidebar.